A startup is not only about making money but majorly about following a passion.It takes a lot of courage and hard work to set up a Startup and make it a success. 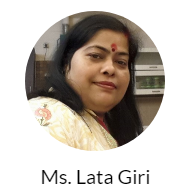 In our series of Superhero of Startup today the Superhero badge goes to Lata Giri for her tremendous effort to take a stand in the society and running a Startup so magnificently. Let’s hear the story from Lata’s side. I belong to Chandigarh, from Air Force Environment. In our society Girls are meant to do household work and there is no other work for them, but my parents rebelled and given their 100% support for our education. We are from a Middle Class Family, and the strength of Middle Class families are their Dreams which they actually want to achieve. They give all the efforts in achieving their dream. With this kind of attitude where girls were seen so low in our society, I thought of doing something unique and wanted to make them understand that we are not weak. This motivated me to start my own HR Consultancy after 11 years of Experience gained from Hospitality Industry. From HR I with the help of my husband and my Family I expanded it to IT & Telecom Segment with new Ideas related to Job and Weddings. Prrathamnaukriplacers and wahvivah are two products I started with. Then after this, we created Explore Mystic India – A travelling blog where anyone can share their experiences and details of places and the best product which we are working on is women Power. My motivation was my Mother who always inspired us to become the best person in life. She was the one supporting us throughout. Our team is main pillars of our company. They are the one through which we could run successfully. Mr Sudhir Kumar Giri: Sudhir is the CEO & CMD of our company. Without him, this dream won’t be a successful venture. He is the person who actually motivated me in my worst situation to boost me up. Mr Sushil Bharti and Mrs Poonam Bharti: Both of them are my motivators, they always motivated me and encouraged me in all the good & bad times. Mr Akshay: Akshay is our Technical Head. 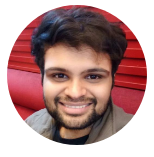 He is very Active and Creative person I have ever met in my life, he is the person who actually understands Client requirements like anything and gives the best results with his unique ideas and creativity. He is a self-made person and we all love his creativity to the core. Mr Bharat: He is our Business Head. He is very active and he knows how to deal with clients and get the best projects. He supported me in my tough time and made my dream of IT domain positive. Mr. Samsher: Shamsher is our Overseas Business and Marketing Head who has taken Prratham Infosoft globally. I don’t see anyone as a competition, other than myself because I started Prratham with one motivation that I should work for a social cause like Jobs, Farmers, Girls, and Kids. Our startup is totally a different startup because here we are taking people who have the zeal to do something differently and whose main interest is IT and who actually think about the welfare of people. Revenues are good and still we are hoping to get best results this year. We are constantly thriving to make Prratham Infosoft a globally renowned Company. And all we wish for is that people can get benefitted with our unique products. Just listen to your heart and do whatever it is saying and go for it. Nobody can stop you to make niche for yourself.